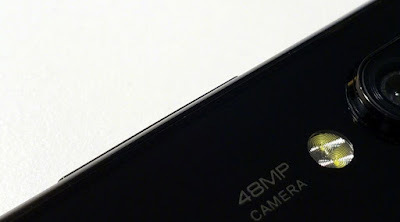 Xiaomi is working on a New Smartphone with 48MP camera sensor. Xiaomi President Lin Bin has posted an image of a Xiaomi phone with a 48-megapixel camera on weibo. Teaser Shows large sensor along with dual LED flash. He also shared that the phone will be released in January 2019. The smartphone could use the Sony IMX586 which was introduced as the world-first 48MP smartphone camera sensor with ultra-compact pixel size of 0.8 μm. Snapdragon 675 11nm Mobile Platform supports up to a 48-megapixel camera. Xiaomi at the 4G/5G Summit in Hong Kong in October confirmed that the company will launch Snapdragon 675-powered smartphone next year.